As an independent recruitment specialist that has been built on the quality of its people, we are renowned for the way we deal with people. To us you are more than just a ‘candidate’ – we make it our job to understand you, your goals and for finding you the right fit amongst our clients, many of the region’s best employers. Since we set out in 2003, clients and candidates continue to tell us it’s our honest, personal right-first-time approach that sets us apart. We now have offices in Cambridge, Ipswich and Norwich and our sector expertise spans Office Support, Sales & Marketing, IT & Engineering, HR, Legal, Accountancy & Finance and Shipping & Transport. Our team of Specialist Recruiters have the skills, experience and passion to deliver a personal, professional and bespoke service to clients and candidates alike. We pride ourselves on the relationships we build and on being a trusted member of our clients’ teams. We treat each candidate as an individual and get to know them on both a professional and personal level to ensure that they are motivated individuals with the skill sets, attitudes and personality needed to succeed on their chosen career path. We offer a thorough screening process, ensuring candidates are fully interviewed face to face and skills tested as per our clients’ requirements before their details are submitted. We offer fresh, forward-thinking and flexible solutions for both temporary, permanent and contract positions, tailored to our clients’ specific needs. Each member of our team is specialised in their own sector of expertise which ensures a smooth and seamless process and a positive and successful, cost-effective match. We value the relationships we have developed with our client and candidates across East Anglia. In today’s job market the candidate is king and we understand the importance of looking after, nurturing and retaining our talent. Our Specialist Consultants know that keeping our candidates happy and fulfilled will ensure we have a loyal and productive workforce to supply to our clients. 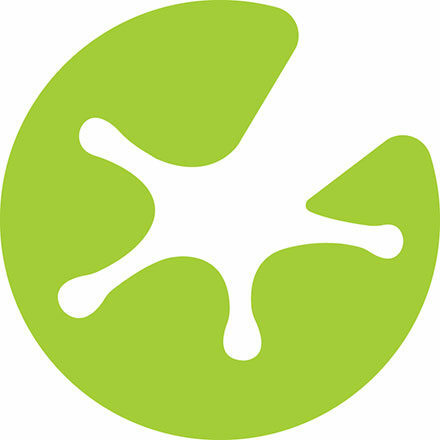 polkadotfrog is passionate about keeping and growing talent within businesses in East Anglia. Find out more about how we can help you find a new challenge on our candidate page. "Out of all the agencies that I registered with polkadotfrog really stood out from the rest. They are professional, efficient, friendly and excellent at building relationships and make sure their candidates are happy and suited to the job. Jackie has been extremely helpful and understanding. polkadotfrog really do go the extra mile and I would recommend them to anyone who is looking for a temporary or permanent job." If you would like to know more about how we can help you in your career search visit our website or contact us. Don't forget to follow us here on icanbea... for the latest updates. Finding a new job or changing career path can be a stressful and time consuming experience.